If you are planning to buy a new house, there are a couple of things to consider first. Buying a house is a big step, and it must be planned to the very last detail to avoid future disappointments. Whatever the reason for your decision to purchase a real estate, issues like location, price and availability of surrounding services are of the most importance. We at Century 21 casa make sure that our customers are instructed and advised in all aspects of buying a house and what risks as well as benefits it has. The right location for your family to settle in is extremely relevant to your as well as your family’s satisfaction. Our team of agents and market researchers provides best suggestions to our clients regarding the availability of surrounding schools, kindergartens, and all other required institutions. Whether you want to get away from the city noise or find a real estate that is in the heart of the city, we will find the best possible solution for you. Sometimes paying less can mean that you will gain more in the future. 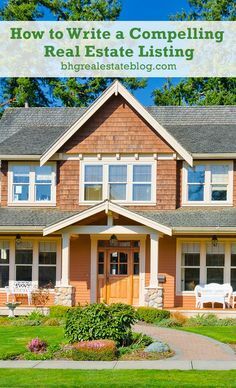 Some older houses that are still in good condition decrease in value in time. Those that are worth investing in are the ones that we suggest to our clients with lower budget capabilities. People that are selling them are more open to negotiations and bargaining. It provides our agents the opportunity to lower the price, even more, reminding the owners that there is a reason they did not sell it so far. After consulting with client’s resources and calculating the decrease in price and required investments, the decision is made. The main reason people choose us over other real estate agencies is that of the fact that we care about our client’s satisfaction as well as finances. We do not simply focus on closing the deal by persuading people to buy a certain house or an apartment. The need to satisfy all of their needs is our top priority. We believe that a satisfied customer will recommend us to their friends that also plan to buy a real estate in the future. It is why every detail regarding the purchased house is being taken into consideration. Proving the best choice regarding real estate for starting a family is what we do best. It is normal that people move from one place to another. They sell their houses and lands and buy new ones. When you decide to make a huge step like this in your life, you have to make sure that you work with good real estate agents. If you are looking for land for your dream home and you’re not sure how to accomplish what you have planned efficiently, you may find some useful tips for home buying here. First, you need to begin with your credit. In association with your agency, you will be able to check if you’re late with payments or if you’re still having some past credit issues. You need to know that you can always contact your agency if you have any problem or if you notice an error, which may be very common. Your next step in accomplishing this is setting your budget. You must decide how expensive your future house can be, actually how much you can afford. In this situation, many people may ask a moneylender for help. You will have to classify your money to get a bigger loan from your lender. This means that they will want to see at least about twenty percent of your house’s price as a down payment. You must be careful when you look for an agent. He will be a huge part and one of the most important of this whole buying process. That’s why home buying agency in Oahu is one of the best agencies ever, and it certainly has the best agents, which you will not be sorry for working with. 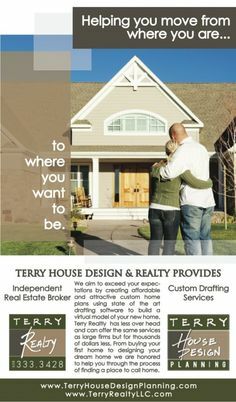 This company will help you buy your dream home. You need to realize what kind of house you want to live in and what neighborhood you want to be surrounded by. Pay attention to other things too. Do not move to a place without a good school and other necessary conditions for your child’s growing up. If you decide to sell that house one day, you will have to have something to offer, a good real estate. Once you find your perfect dream home, it is time for you to make a bid. You must be aware of the fact that other people want the house too, so it is not the right time or place to be a lowball. If you want it, you will make an effort. Try to have a deal with the seller. You are there to satisfy his needs, so be creative and do this in a fun way. After finishing this step, you must get a lawyer and enter the contract. Once you do this, it is time to call your lender again. He will help you determine whether to go with the rates or not. In this way, you will secure the loan. What you also need to do is to find an inspector for your home for not more than three hundred dollars. And the final step will be closing the deal. This is the job for both you and your moneylender in which you must be particularly careful.